Pokémon X & Y had already introduced Trainer customisation to the series, but it appears that the Pokémon themselves may soon enjoy that sense of personalisation. Beyond Omega Ruby and Alpha Sapphire’s Cosplay Pikachu, The Pokémon Company International has teased that Ash’s Greninja will take on a “mysterious new appearance” in the new Pokémon XY&Z animated series. 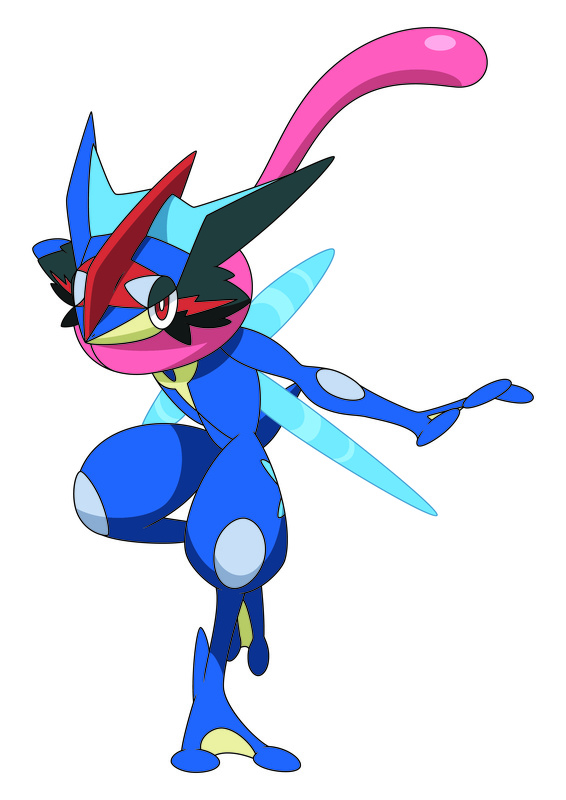 Referred to as ‘Ash-Greninja,’ this new form occurs when the bond between Ash and Greninja “is raised to the limit.” As a result of this, the strength of their bond changes Greninja’s appearance which has already been said to reflect the characteristics of Ash’s own clothing. This phenomenon is known to have happened only once in the Kalos region several hundred years ago, meaning that it still remains shrouded in mystery. Whether this will bear any relation to mechanics introduced in the next Pokémon title remains to be seen, which is largely expected to be Pokémon Z. The Pokémon XY&Z animated series will air in Japan from Thursday 29th October 2015. YEAH!! GRENEENJAAA!! OH YEAH BABY!!!! !GRENINJA IN DA HOWSE! !